This thread serves as a list of the various guides and staff information available for the players. Think a thread should be added to this post? Just ask! Official Introduction to Unknown Shores, Character Creation, the RPG System, and Combat - A great resource for learning about the server and how things work. Rules and Regulations - Everyone should read these. It's important to understand the policies and rules that the server is built upon, as well as more intricate rulings on specific issues. Staff Organisation - The list of staff ranks and what each rank is responsible for, as well as information on applying. 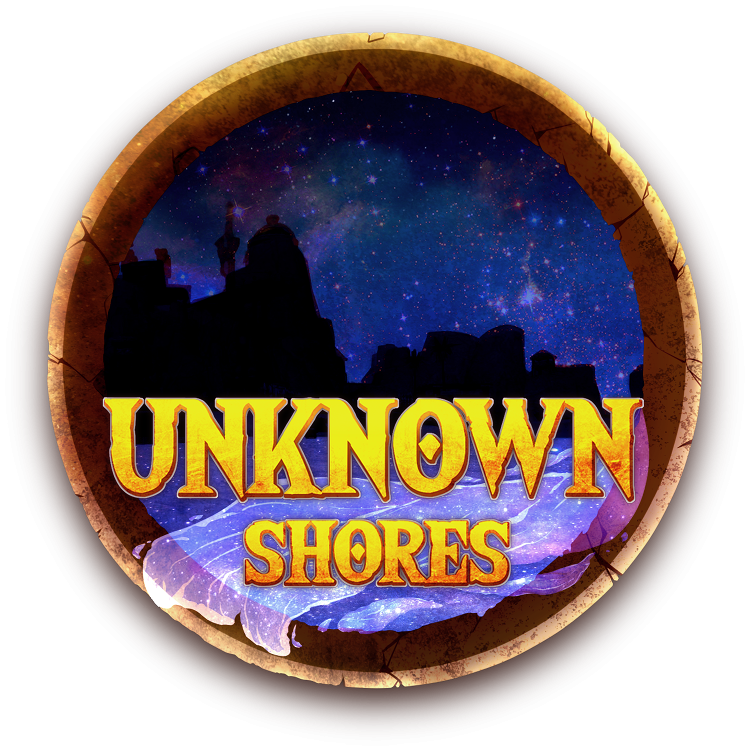 Unknown Shores Connection Guide - Need to figure out how to connect to the server? All the information you need is here. If you have problems, feel free to contact staff in the #it-helpdesk channel on the Discord! Join the Discord! - A lot of information and technical support is available here. The Doldrums Lore Primer - Basic information regarding the setting that server takes place in. Foogleman's Quick Start Guide to the RPG - A great resource for brand new players that are completely unfamiliar with the RPG system. Foogleman's Quick Start Guide to the RPG Professions - Another great resource for beginners, this time regarding gathering and crafting. The Lore Forum - There's a Q/A thread in here, as well as posts for each of the individual islands. They're each described from the point of view of the people of Silver-Eye, the neutral hub island. Disease in the Doldrums - Information regarding the various diseases that can be found, contracted, and cured. Death and Resurrection - Information regarding The Pit of Souls, death, contacting the dead, and reviving the dead. Learning Languages - It is possible to learn a language, and this thread provides information on just how you can go about doing that. Standstates List - Various animations you can play with the ".mod standstate ###" command. RPG Patch Notes - A list of all the changes that are made to the RPG system. RPG Combat Primer - A long form introduction to the combat mechanics of the RPG system and how everything works when it comes to battle and statistics. Ability Dictionary - A list of all of the abilities available on Unknown Shores. The in-game book item has all of this information available as to the abilities and their current states. Equipment Document - A list of all of the different weapons and armor that you can acquire on Unknown Shores.